Colour By Neon is one step away from being a 1980’s throwback to the golden times of music, you know, except that Vocaloid wasn’t a thing then. So the ASDR team run by Mrs. Peach – Founder made this album in hopes to see what it would be like to experience the 80’s in Vocaloid style! I honestly enjoy it- and not because I got the whole album free, but because it reminded me of a lot of classic songs I and my parents used to listen to and still do. The genre’s carry from 80’s style electronic when it was just beginning, to classic progressive, and even hair metal. One specific song, No More by LeJosuaManga, is honestly one of the most emotional songs I fell in love with because it reminded me of Orchestral Maneuvers in the Dark, or otherwise known as OMD. See, my parents grew up listening to bands like this, which then transferred over to me. 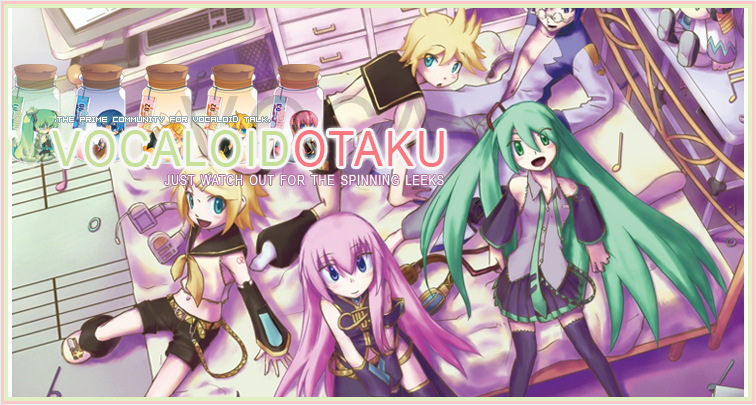 I can respect all types of music, and if you have come across this album, and want to get someone you know into Vocaloid, like your parents, friends, or those cool grandparents you always hear about, then go ahead and check this album out! That’s not the best part, in my opinion, you see, all proceeds the album makes goes to charity for a foundation for a suicide hotline in the UK, so yes, that is a very noble thing these beautiful muffin producers are doing over here. So go ahead and ground pound the links below to see if you like any of the songs because you can listen to samples. Sawbat, where are your glasses? Why, you’re wearing the wrong ones too!